In the past year Neel Desai has been interviewed by C-SPAN and flown to D.C. to chat up Sen. Bernie Sanders and other lawmakers. Not bad for an eighth-grader. 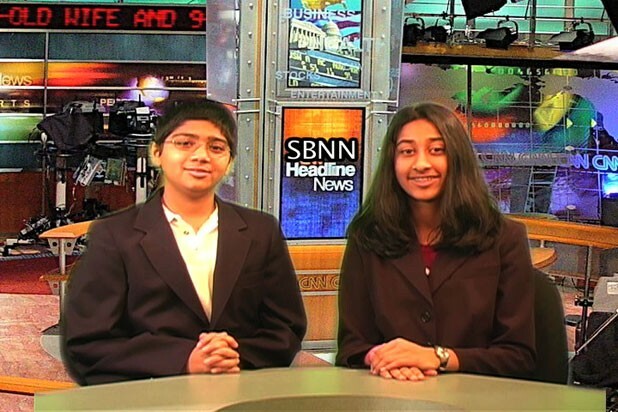 This is the second national student video award in the past six months for Desai and Patel. Last fall, they joined Lea Thali and Elizabeth Lee on one of three first-prize-winning teams in a contest run by education-tech publication eSchool News and sponsored by the Pearson Foundation. In the eSchool News video, students were asked to illustrate “How Technology Helps Me to Learn,” a topic that sounds about as exciting as the classic “How I Spent My Summer Vacation.” The Tuttle team jazzed it up by taking an imaginary trip back to 1983 to demonstrate just how much info-tech has transformed classrooms. A heavy dose of “Daily Show”-correspondent-style humor helped. Desai, Patel and Bhagat took a similar approach in their winning C-SPAN video: They staged a trip into a Second Great Depression future where Americans live in tents and vie for jobs paying $1.25 per hour. Using green-screen technology and Final Cut Express editing software, the students put themselves on Wall Street and then into a bleak futurescape. Tuttle’s impressive media lab is the brainchild of Hoffman, who started the school’s broadcasting program five years ago. In his 14th year of teaching, he says he’s not a techie but a “misplaced shop teacher.” Hoffman “saw as the years went by that kids needed to be workforce ready, and shop was not giving them that,” he recalls. So he got grants, “changed [his] lab to a totally digital studio,” and brought in technicians from Burlington’s RETN to teach students how to use the equipment. And, of course, to win contests. This year, Hoffman says, the C-SPAN competition had “close to 1000 entries, a 300 percent increase over last year.” As themed video contests and students with cameras multiply, maybe the rest of the country is catching up to Tuttle.